By the virtue of its distinct design, this kurta from Gerua is worth finding a place in the closet of any fashion lover. 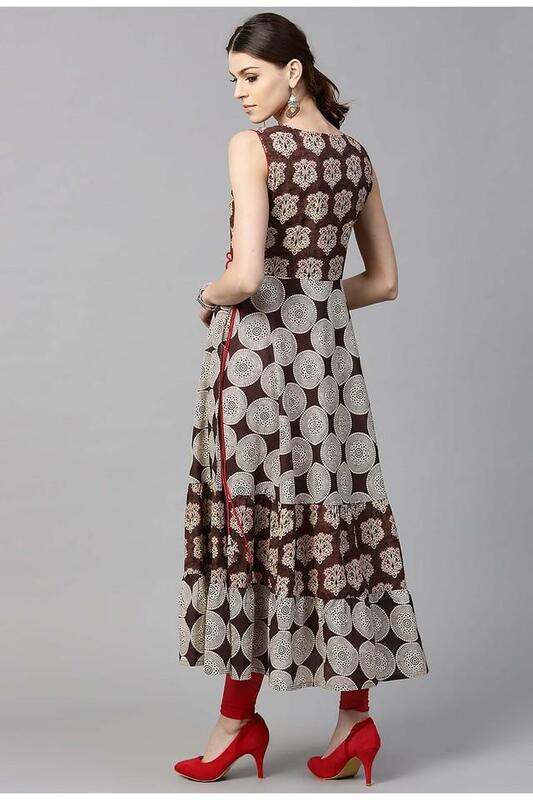 It is replete with prints and has a round neck, which adds a touch of exclusivity to its look. Tailored with a premium quality cotton fabric. It will further envelop you in optimum comfort. Get creative with your fashion skills by wearing this kurta, which has been designed to perfection. You can club it with a pair of palazzo pants and flat sandals to complete your casual look.